50 ton overhead crane belongs to the heavy-duty overhead crane that can lift or carry things in a pretty large weight. 50-ton cranes are famous for high working efficiency and stable performance. 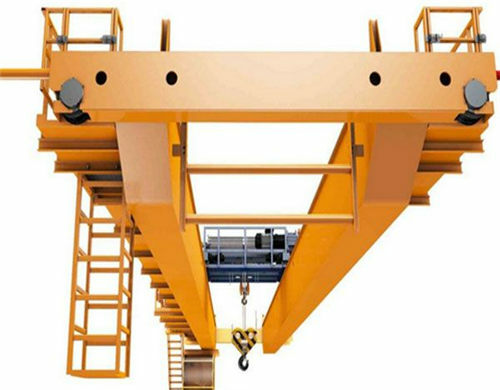 The overhead cranes in our company are widely used to lift or carry heavy objects. Unlike the single girder overhead crane, our double girder overhead crane can achieve the lifting load of 50 tons. As a result, our 50 ton overhead cranes are equipped with double girder and more qualified components. Our 50 ton overhead crane has received many certificates in the world. We have received the ISO certificate which is the most approved by the world people. We also received a certificate in China such as the certificate of registration. Other than these certificates, we also received CUTR certificate, European Union CE certificate and so on. All of these certificates are the approval of our company’s strength. There are many specifications in our company and the following is some basic information about 50 ton overhead crane in our company. The 50 ton overhead cranes are supplied in our company that has high quality and reasonable price. First of all, LH series double girder 50 ton overhead crane with hoist features the compact structure and light dead weight. It is often used in the warehouse, assembly and maintenance workshop, mechanical processing workshop and so on. 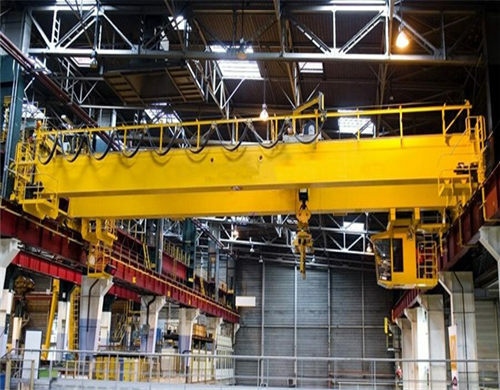 Secondly, the European standard 50 ton overhead crane in our company is a kind of double girder overhead crane that can reach the lifting weight of 80 tons. European technology and modular design are applied in this series crane. Equipping with the European standard wired rope hoist, it has light dead weight and smart structure that can save the cost on the workshop building. By the way, this series cranes are especially suitable for these occasions: material handling and parts assembly that require high positioning accuracy. Thirdly, QD series 50-ton cranes are equipped with a hook that can lift the goods from 5 ton to 800 ton. It is the most widely used cranes in the market for its high lifting weight and wide applications. For example, it can be used in the mechanical processing workshop, warehouse, material yard, maintenance, and assembly workshop, etc. Then, YZ series foundry crane is one of the most important equipment in the foundry sites. It can be used in a hot environment. Generally speaking, this series crane ought to be operated in a cab with an air controller in order to provide an easy working environment for operators because the temperature in the cab is very high. The 50 ton overhead crane prices are competitive and reasonable in our company so that the products in our company are widely used in the world. Reasons, why our machines are widely used, are as follows. On the one hand, our company processes our factories so that we can give you the price according to the raw materials without the middle man. As we all know, the price in the factory is lower the price in the market so that customers can get the most competitive price in our company. On the other hand, unlike the machine in the developed countries, the cost of the raw materials and workforce is lower. As the largest developing country in the world, our company develops the crane industry in a vigorous way. All in all, the price of our machine is competitive and reasonable. If you want to know the detailed information about the price of our machine, please send an email to our company, we will you an ideal solution as soon as possible. The components of our machine have reliable quality and good reputation among customers. On the one hand, the crane products in our company have advanced European technology and craftsmanship. On the other hand, the skilled workers in our company are good at innovation so that the quality of our cranes is better and better with the development of our company. 50-ton lifting cranes in our company are supplied according to the requirements of different customers. It is possible that the working sites are irregularly so that the machine should be designed in accordance with the special requirements of customers. No matter what kinds of sites your business is, we are sure that a proper solution can be supplied very soon. Our company always provides customers with excellent after-sale service and high-quality machine. All of our workers are work hard to build a famous brand under the guidance of principle “customers first and education ahead” so that customers can receive good quality machine all the time. They are safe and environmentally friendly. On the one hand, the machine is equipped with many safety devices to avoid accidents such as the overload protective device and proper extract device. On the other hand, the machine is made with advanced technology and it is designed with high technology so that the noise of the machine is very low. Do you wish to invest in a brand new crane in 50 ton? One of the best companies that one could deal with is Weihua. 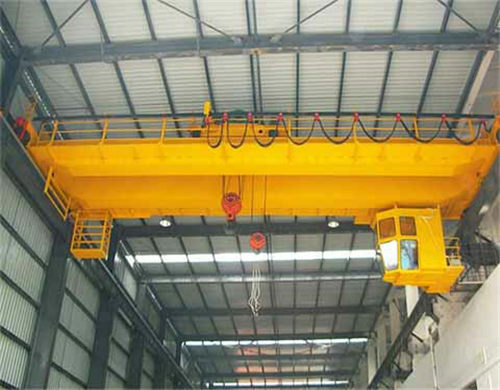 It is a company which is situated in China and produces the best overhead crane in the world. You may want to consider buying one. This is the quick summary of how to get a good price on our cranes. 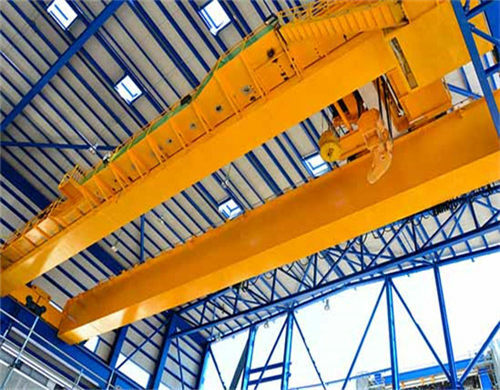 On the one hand, we are a company who produces a vast quantity of overhead cranes in different sizes and types. We are sure that small profits can make more profit for our company. Our company also believes that the principle will make our company develop in a longer period. On the other hand, you can notice why so many customers choose our overhead cranes. No matter what kinds of especially needs you to have, our company can give you an ideal solution according to your needs. We are sure that all of our company can give you customized service in order that customers can get satisfying lifting cranes. 50-ton bridge crane can be widely used in many occasions such as the construction site, warehouse, workshop and so on. According to the different extract device, the 50 ton overhead crane can be used on these occasions. 50 ton bridge crane with a hook: the hook can lift goods or heavy objects in regular shapes or pack. For example, it can be used in the warehouse and workshop. It is necessary to lift or carry goods in the workshop. In the warehouse, it can be used in the warehouse to carry the heavy objects. 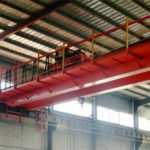 50 ton bridge crane with electromagnetic sucker: This series cranes are designed with the electromagnetic sucker in order to absorb the materials that have irregular shapes and the sizes. For example, dealing with abundant steel materials needs an electromagnetic sucker to absorb the steel. It is very convenient. 50 ton bridge crane with grabs and slings: This series cranes can lift the goods in small sizes and large quantity. For instance, a number of small size products in the warehouse and workshop need the 50 ton bridge crane with grabs and slings. In the meantime, the grabs or slings can carry the goods safely. In the end, we are pleased to receive your emails. If you want to know more about the 50 ton overhead crane in our company, please feel easy to send an email to us, our skilled workers will give you an ideal solution as soon as possible. We are waiting for you all the time.